I managed to get a couple of pictures using my Sony A57 DSLR. a Tamron 18-250 zoom lens and the Ioptron Skytracker mount. Wide-angle Lovejoy is taken at 60mm, 21 x 30 second subs of which 16 were stacked in Deep Sky Stacker. 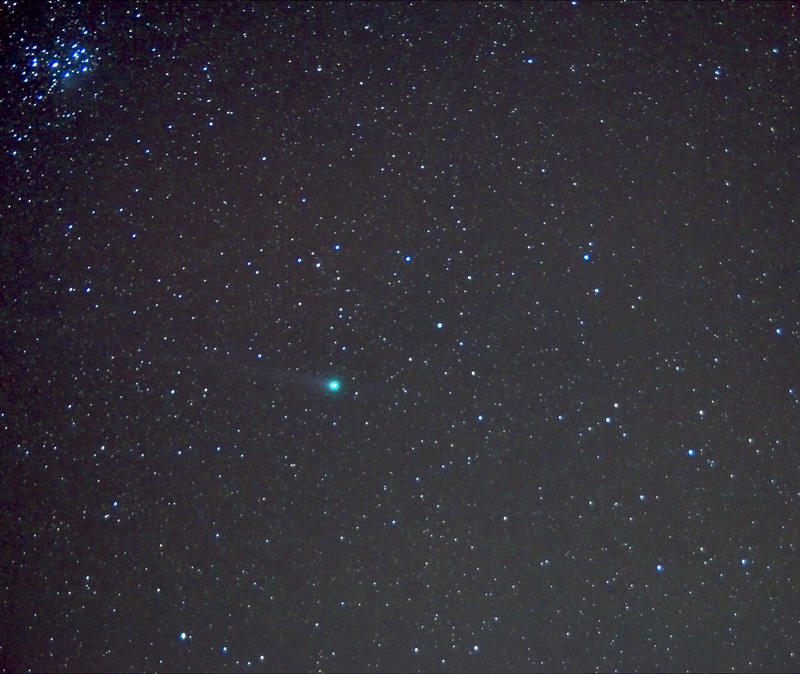 A slight tail is visible coming from the comet and the Pleiades are nearby, showing its position. Click on an image to get a larger view. 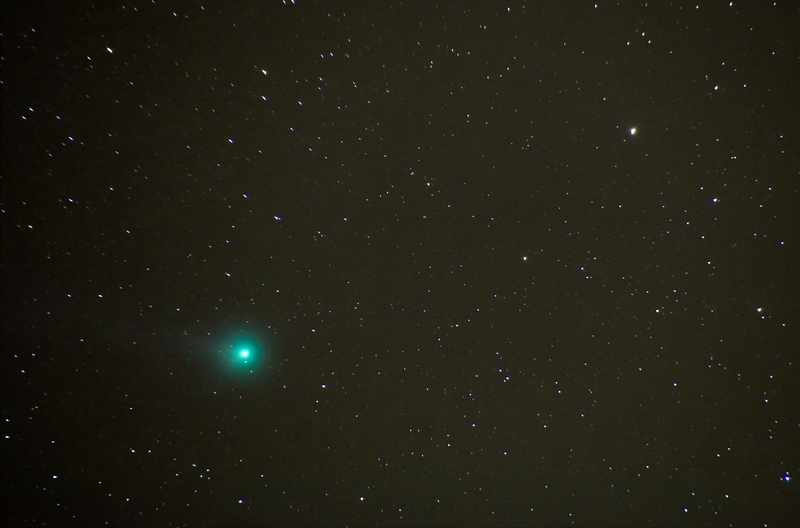 Telephoto Lovejoy is taken at 250mm but I didn't manage to centre the comet very well so the tail isn't so visible. Other details as above.